From a well-developed public transportation system to a wide range of budget accommodation, hospitable people and just an amazing, undiscovered culture, backpacking in Kyrgyzstan is easy and the perfect place for travelers seeking a unique and off-beat destination, but not as hard as traveling in Pakistan, for example. I am pretty sure that, in the next few years, Kyrgyzstan will become the ultimate backpacking destination and one of the best alternatives to popular places like Nepal. After spending 2 months backpacking in Kyrgyzstan (we travel very slowly), I have compiled this complete 1-month itinerary. 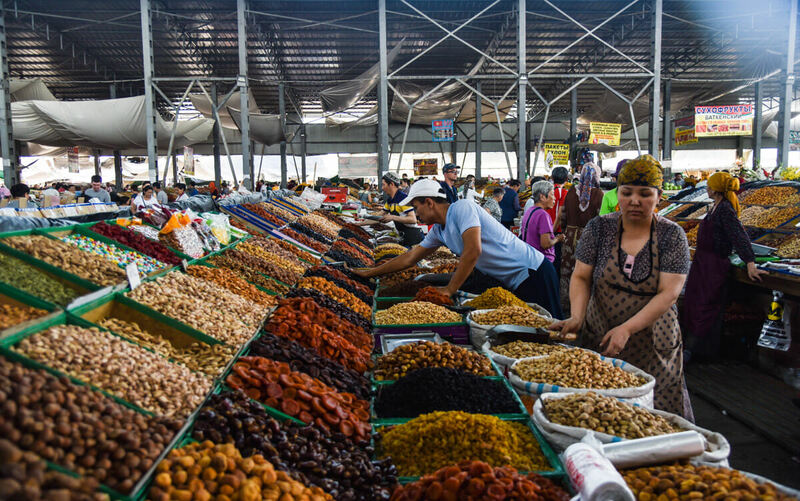 When to go – Central Asia, especially Kyrgyzstan, is a very seasonal destination. In winter, the country is covered by snow and ice. In the cities, temperatures may drop to -20ºC, so I can’t imagine how it would be in the mountains. If you want to do some trekking and enjoy the mountains, visit Kyrgyzstan from June to September. 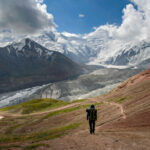 Trekking – I recommend you read my guide to trekking in Kyrgyzstan, which also includes a very detailed packing list. From a crime perspective, Kyrgyzstan is a really safe destination for travelers. The only dangers you may encounter are those related to road accidents (some people drive like crazy) and, of course, the mountains. 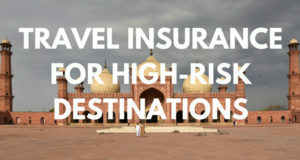 Yes, Kyrgyzstan is a trekking destination so having proper travel insurance is a must. I recommend World Nomads. Why? 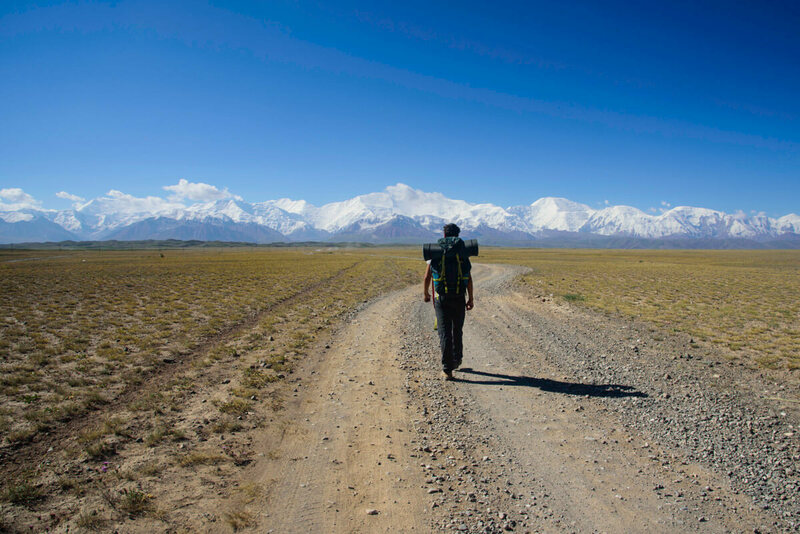 Even the basic plan covers for trekking up to 6,000 meters, which is quite useful for Kyrgyzstan. Get here your free quote! Most travelers I met in Kyrgyzstan were only sparing two weeks in the country. 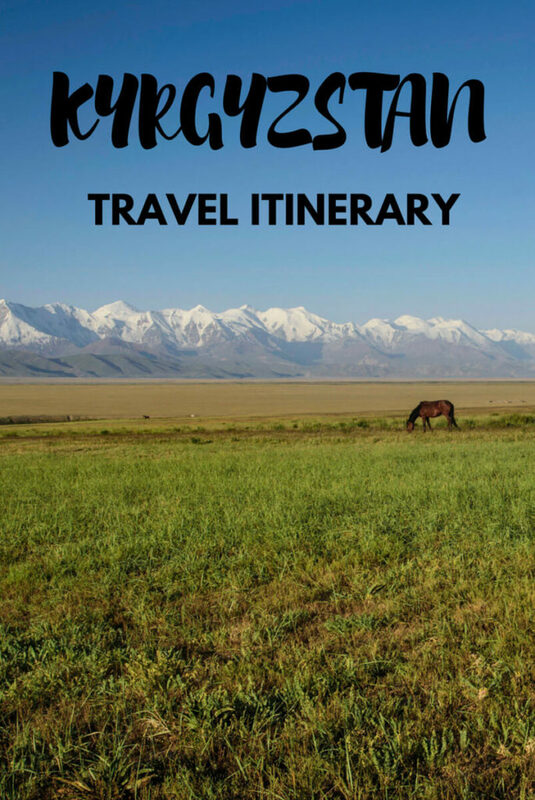 Most likely, your Kyrgyz journey will start in Bishkek, as the flights from Europe are the cheapest in the region, plus this is the first destination for overlanders traveling from Almaty in Kazakhstan. After some hard-backpacking in Pakistan and a short visit to Xinjiang, for me, Bishkek felt like a dream. Home to a liberal and Westernized society, the streets of Bishkek are filled with all sorts of bars and restaurants, as well as a large expat and digital nomad communities. I actually spent 25 days here, wandering around its pubs and working on my blog, while taking advantage of the high-speed Wi-Fi. However, if you are here for just 2 weeks, I don’t think you care about doing Western stuff. In fact, I recommend spending the minimum days possible in Bishkek, as there are not many touristic sites here, besides Osh Bazaar, one of the greatest in the region; Ala-Too square, the main central square; and the State History Museum. For more information, read this great Bishkek City Guide. Backpacker Hostel– Friends Guest House & Hostel – I stayed here for nearly two weeks. The owner is a cool local guy who really strives for people to socialize and just have fun. It has a very big common garden, with loads of comfortable seats, beer for sale and everything you need. There are several kitchens, bathrooms and a wide range of both dorms and private rooms. One of the best choices in town for both backpackers, couples and any kind of traveler. Premium Hostel – Central Hostel 312 – I spent my first few days here and it was really great. With very modern facilities and extremely comfortable mattresses, this hostel is a great choice for those looking for a more comfortable place to stay. Prices are obviously higher but still, it’s quite affordable. Mid-range Hotel – Garden Hotel – I have seen that many readers of my blog book this hotel and I can easily see why. The staff is amazing and they serve an amazing breakfast. For people who don’t want to stay in hostels, this is the best place in the city. Kyrgyzstan is part of the Silk Road, so why is everybody always talking about its mountains and not ancient monuments? That’s a good question. Unfortunately, very few buildings remain from that time but the beautiful Burana Tower is one of them. 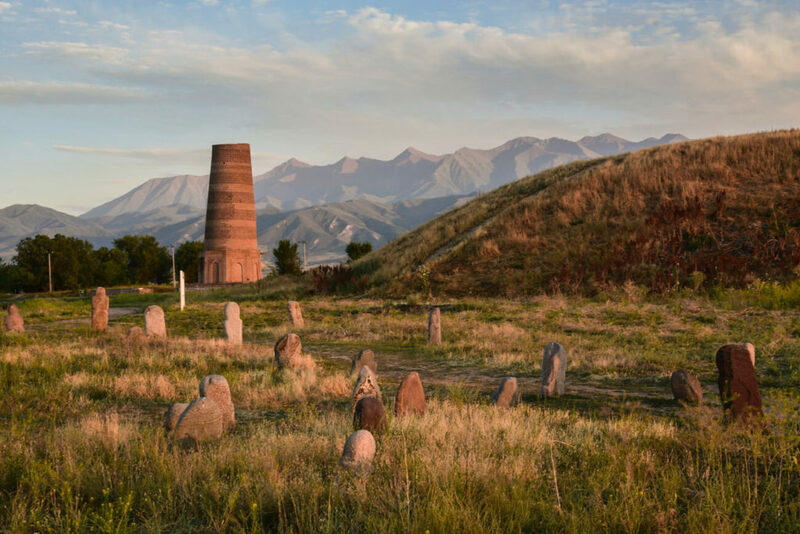 Located only 70km from Bishkek, this is one of the most outstanding Silk Road Heritage sites in Kyrgyzstan and this minaret is the only thing that remains from an ancient city once called Balasagun, which was sacked by the Mongols in the 12th century and then finally destroyed in the 14th. Most people come here on a day trip from Bishkek but I recommend coming and staying overnight. Why? First of all, because sunset is the best time to visit it. And second, because it is on your way to your next destination. Marshrutkas to the town of Tokmok leave from the eastern bus station of Bishkek (Location: 42.887272, 74.629646). The center of Tokmok is 14km from the Burana Tower. The local price for a taxi is around 150KGS (2.10USD) but they may ask you for up to 250KGS (3.65USD). Mid-range – Grand Hotel Burana – A pretty fancy hotel, as per Kyrgyzstan standards, for mid-range travelers. **There are other guest houses around town but I don’t remember the name of the one I stayed at and they are no available online. With a wide array of cool cafés and restaurants, the most touristic town in Kyrgyzstan is a great base to rest after some trekking. Although, you should not stay here long unless you have plenty of time. There is a trekking-gear store, where you can find from tents to camping gas and anything you may need. However, keep in mind that the quality of the gear is not very good, so I always recommend bringing it from home. 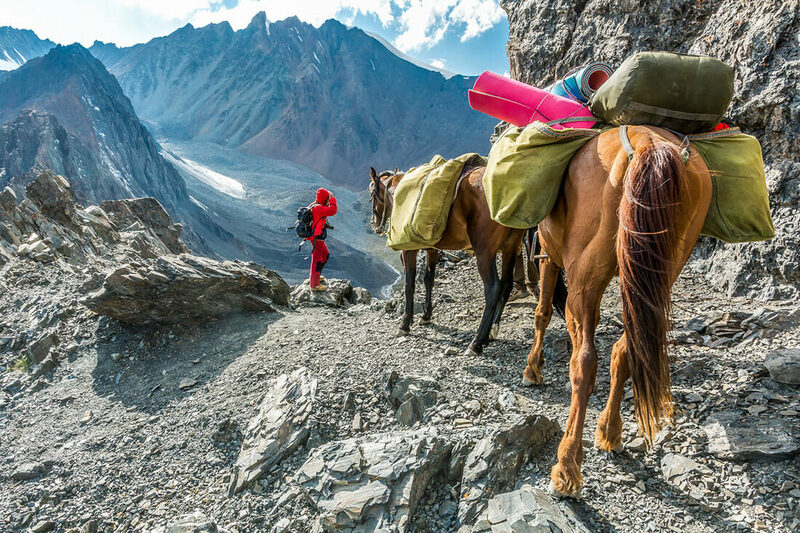 In my trekking guide to Kyrgyzstan, you can find the recommended packing list. Marshrutkas leave from the western bus station (location: 42.885755, 74.56674) and cost 450KGS (6.50USD) for a 4-hour journey. Backpacker Hostel – Tent Hostel – A pretty cool and unique place. This hostel offers tents with comfy mattresses in a room. How cool is that? However, if you are more into normal beds, it also offers dorms with bunk beds. Tent Hostel is also a great place if you want to team-up with other trekkers. Mid-range Hotel – Riverside – An ideal place for couples. This lovely guest house is run by a Dutch/Kyrgyz couple. It has very comfy beds, an awesome breakfast, and the owner is a very kind man who really knows what travelers need. You may have heard from a famous trek called Ala Kül, which is a 3-5-day trek to a high-altitude lake. That’s the trek that most people who visit Kyrgyzstan do. It is a pretty awesome trek but still, it may get busy during peak season. 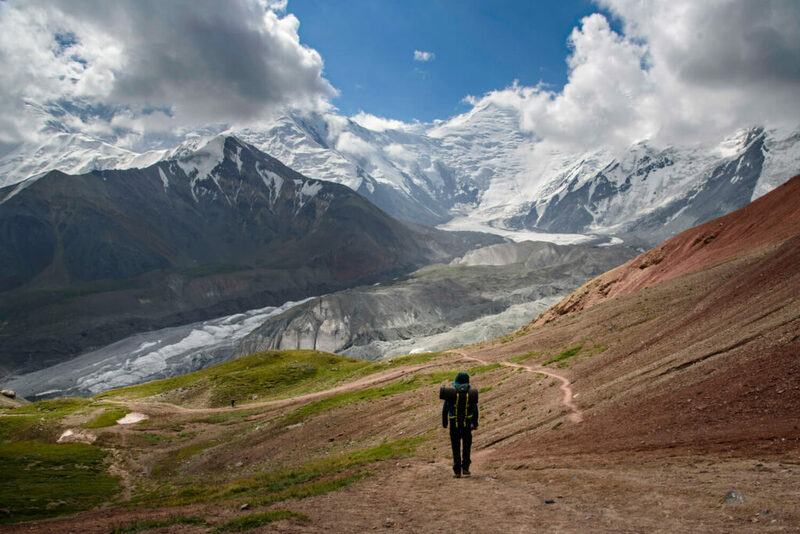 If you want to really get off the beaten track, I suggest you do the Archa Tör pass trek, which is as challenging and beautiful and goes over a striking 3,800-meter pass, from where you get stunning views of the famous Karakol peak. Moreover, along the way, you will find a few yurt camps inhabited by real nomads who will be happy to feed you, asking nothing in return. 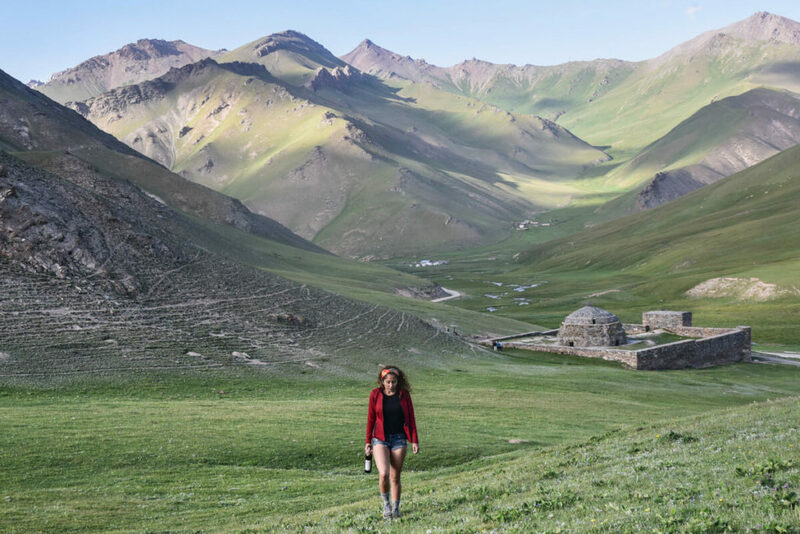 For a full review, including trail-itinerary, inspiring photos and other trekking tips, read my post: Trekking in Karakol – Archa Tör Pass trek. A pretty ugly town but a comfortable base for going to the dreamy Song Kul. In Kochkor, there are some good homestays and a few relatively nice restaurants. However, you seriously don’t want to stay here for many days, so just pick a good guest house and head to Song Kul on the next day. On the seventh day, you will return to Karakol from your trek so, on the following day, take a marshrutka to the town of Balykchy (220km, 2:30h). In Balykchy, take a second marshrutka to Kochkor (60km, 40min). I am not sure about the prices as I did the journey in small sections, but you should not pay more than 250KGS (3.60USD) for both tickets. Budget Hostel (Homestay) – Happy Hostel – This place is all right. Despite being called a hostel, this is the typical Kyrgyz homestay but it has a dorm, as well as private rooms. They serve home-made dinner and everything you can expect from the lovely local families. A bit nicer Homestay – Guest House Baytur – Similar to the previous one but everything is newer, the food is better and it is more well-located. Note: I guess you noted that I skipped Issyk Kul Lake, which is the largest lake in Kyrgyzstan and, actually, the second largest alpine lake in the world. For me, Issyk Kul was pretty disappointing, as the northern shore was filled with tourists and the southern shore, which is less touristic, was not as beautiful as I expected. I am not saying it’s a bad place but I think there are thousand better places in Kyrgyzstan. The reason why it is so famous is that the ocean is thousands of miles away from Kyrgyzstan, so this is the closest thing to a sea they have. If you don’t have many days, I recommend you skip it but, if you still want to go, check this post from Kathmandu & Beyond: Things to do around Issyk Kul. Song Kul is, definitely, one of the best things to do in Kyrgyzstan, and it’s easy to understand why. 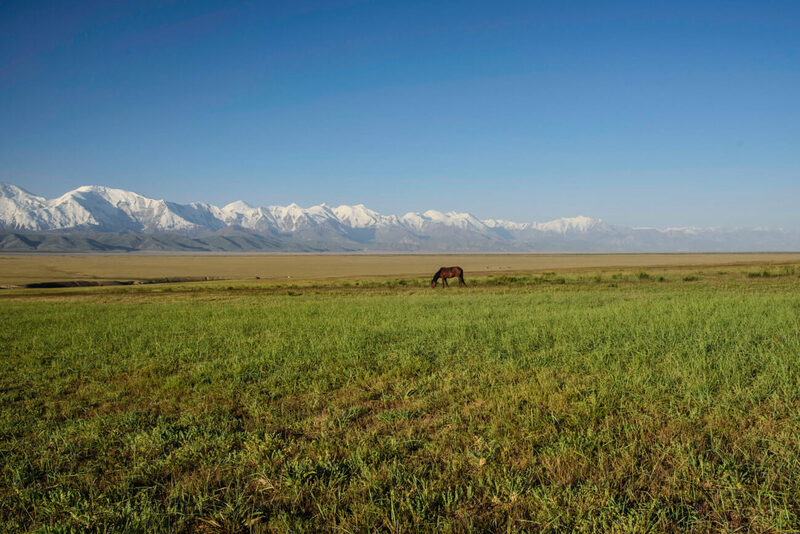 Surrounded by beautiful, rolling hills and located in the middle of a massive, flat plain, from where you see the most stunning sunsets in the country, Song Kul has become the perfect postcard for anyone backpacking in Kyrgyzstan. It’s a place to just relax, hang out with the nomads, stay in a yurt and do short half-day treks. However, when I went there in July, in the main area of the lake, there were plenty of commercial yurt camps hosting dozens of different tourists. With this, I am not saying that you shouldn’t go to Song Kul. Of course, you should! 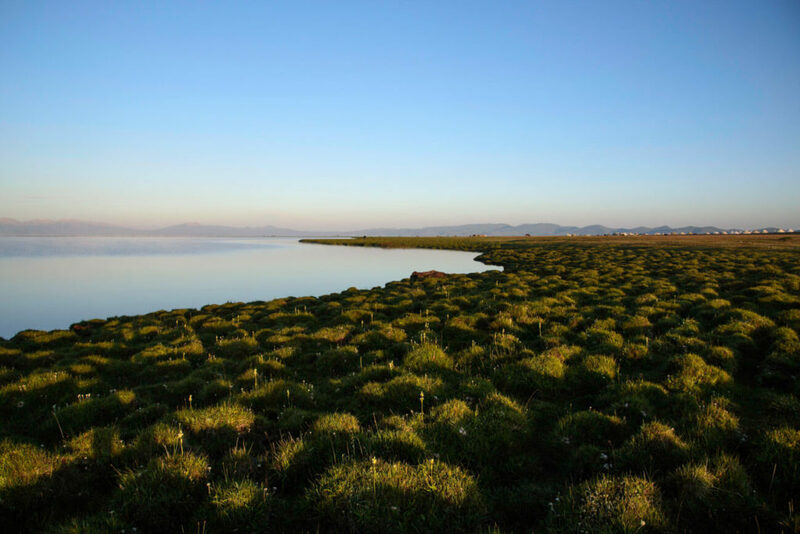 However, since ninety-five percent of the tourists come directly by car from the town of Kochkor, why not do things a little bit differently and come trekking, independently, from the village of Kyzart, which is located at the other side of the lake? Very few people come this way and I guarantee you that you’ll see virgin velvet-green hills and unique lake views from Kyzart Pass. Note: You may need an extra day if you come walking from Kyzart. Song Kul is around 100km from Kochkor and there is no public transportation but just expensive taxis. Prices range from 1,200KGS to 2,000KGS (17USD to 30USD). Alternatively, you can hitchhike but keep in mind that, in this part of the world, even locals pay when hitchhiking. 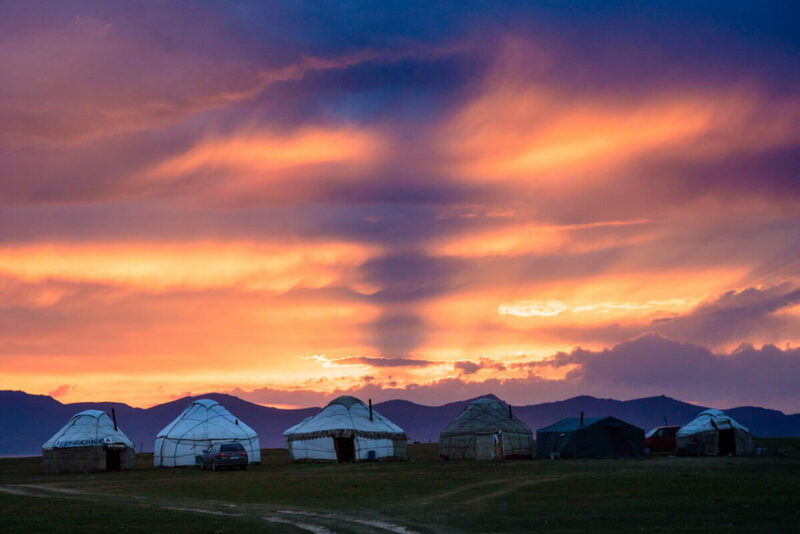 There are plenty of yurt camps where you can stay for around 10USD, including dinner and breakfast. There is no need to book for a yurt in Kochkor. Another quite ugly Kyrgyz town where you need to spend the night if you are heading to the beautiful Tash Rabat. Naryn has a wide range of budget accommodation, shops, and restaurants. Local shared taxis from Kochkor cost 250KGS (3.60USD) but, since Kochkor is quite touristic, they may charge you more. Bargain! It’s a 2-hour journey. Budget Homestay – Zheenkan – The typical Kyrgyz guest house, very clean and good enough for just one night. Mid-Range Guest House – Kunduz Guest House – A comfy guest house that features awesome Wi-Fi, really nice rooms, and a cool breakfast. Due to its long distance and difficult accessibility, only a small bunch of travelers visit Tash Rabat, an ancient caravanserai from the 15th century which, for centuries, sheltered hundreds of merchants, traders, and travelers, who made their journeys along the famous Silk Road. 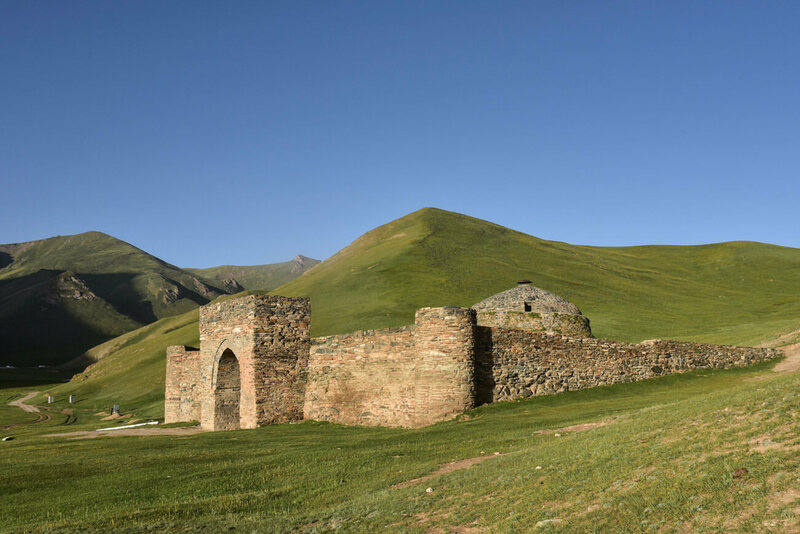 Tash Rabat is the most stunning Silk Road heritage site in Kyrgyzstan and not only because it’s a beautiful, perfectly restored building but also, because it’s located in one of the most epic places ever. Tash Rabat is in the south-east of the country, very close to the Chinese border. 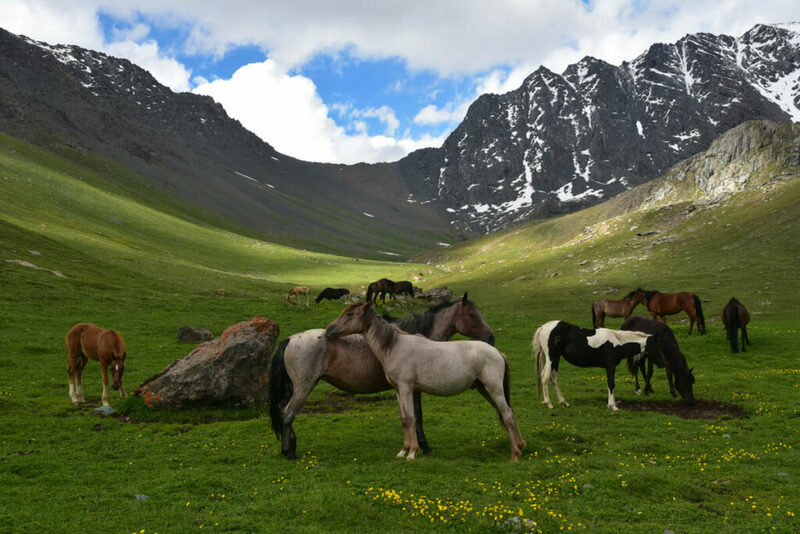 Here you can also go trekking to Chatyr Lake on a 2-day trek. I did it on a horse and it was awesome. Tash Rabat was, perhaps, my favorite place in while backpacking in Kyrgyzstan. Note: You may need an extra day if you plan to go to Chatyr Lake. In the previous article, you will find all the details. There are plenty of yurt camps but I recommend you stay with Elizat, since she is the only person speaking proper English. You can contact her at [email protected] or call her at +996707880161. Otherwise, ask for her at your arrival in Tash Rabat. Note that the south of Kyrgyzstan is really remote and the journey from Bishkek to Osh takes at least 12 hours. That’s why, if you only have two weeks, it would be difficult to replace any of the previously suggested places with these. No matter where you are, the journey to southern Kyrgyzstan is absolutely insane. Jalal Abad is the nearest big city to Arlsanbob and where you should go first. If you are in Naryn, this is the shortest route. However, the road connecting both towns is a 400-kilometer dusty and bumpy road. You should know that public transportation doesn’t exist. The easiest way to go would be in your own car or by taxi but be aware that taxis are quite expensive. CBT Naryn can organize the journey for you, so I suggest you email them to ask for prices. Alternatively, if you have time, you could also hitchhike, but it will take you at least two days. I know one guy from Ireland who did it. To do so, you can first go by local shared taxi (from Naryn bazaar) to a village called Ak-Tal or somewhere close, because nearby there’s a direct road going to Kazarman. If you don’t want to hitchhike, a second alternative would be going to Naryn bazaar where, occasionally, you may find local shared taxis going to Jalal Abad. This seems like a feasible option but, unfortunately, they leave very randomly, so you will need to try your luck. Whatever option you choose, the road and views are just awesome. From Bishkek, there are daily local shared taxis going to Jalal Abad. It’s an 11-hour journey and it costs around 1,000KGS (14USD). The station to Jalal Abad is in Pushkin Street, more or less in this location: 42.878245, 74.582258. Try to go as early as possible. Moreover, if your destination is Arslanbob, you will have to get off in Bazaar Kognor, a small town one hour before Jalal Abad. Some travelers say that Arslanbob is a bit touristic but, in my opinion, I think that, since the village is so tiny, it’s easy to bump into other travelers. 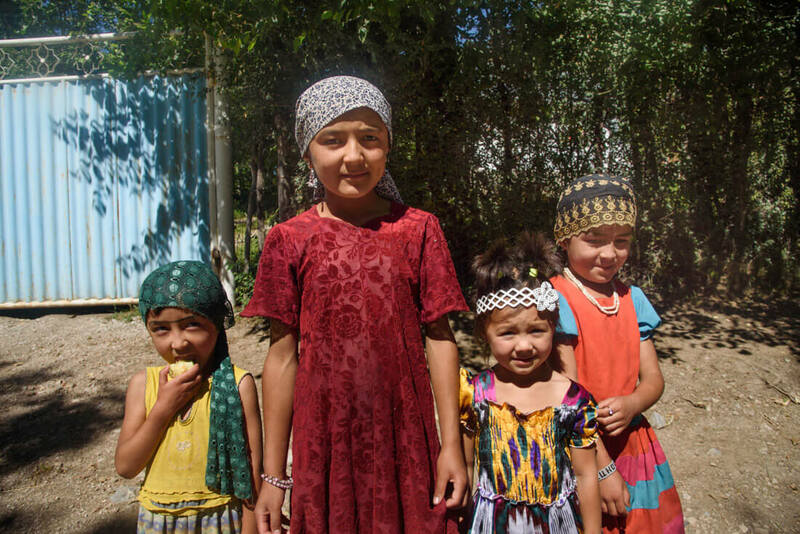 Located in the south of the country, not very far from the Uzbek border, most people living in Arslanbob are Uzbeks. This means that here you will see plenty of different faces, as well as eat the traditional Uzbek plov, consisting of rice fried in lamb fat, with carrots and raisins. Arslanbob is a great place to rest from your hectic travels, as this is one of the very few villages in the country which has a real soul (in Kyrgyzstan, towns tend to be boring) and it’s also famous for having the best homestays, run by local families who have lovely gardens, comfortable rooms and will feed you until you explode. There are also plenty of day-treks to waterfalls, forest walks and a very challenging 4-day trek to one striking lake. By the way, Arslanbob is home to the largest walnut forest in the world. The CBT Arslanbob can tell you about the available homestays. All of them are great, run by Uzbeks and have nice gardens. Shoot them an email and book your favorite one. The second most important city in Kyrgyzstan, Osh is a must-stop for anyone trying to cross the border to China over the Irkeshtam pass, to Tajikistan over Kyzyl Art, or to Uzbekistan. 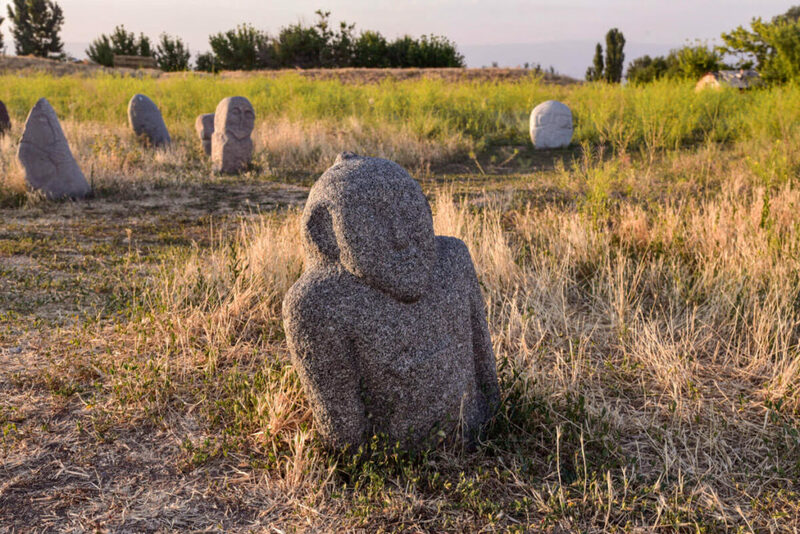 For this reason, due to its strategic location, Osh has been a very important transit point from Silk Road times, hence here you will find a surprising cultural blend. Osh is way more conservative than Bishkek, so here you won’t find as many Western things to do. 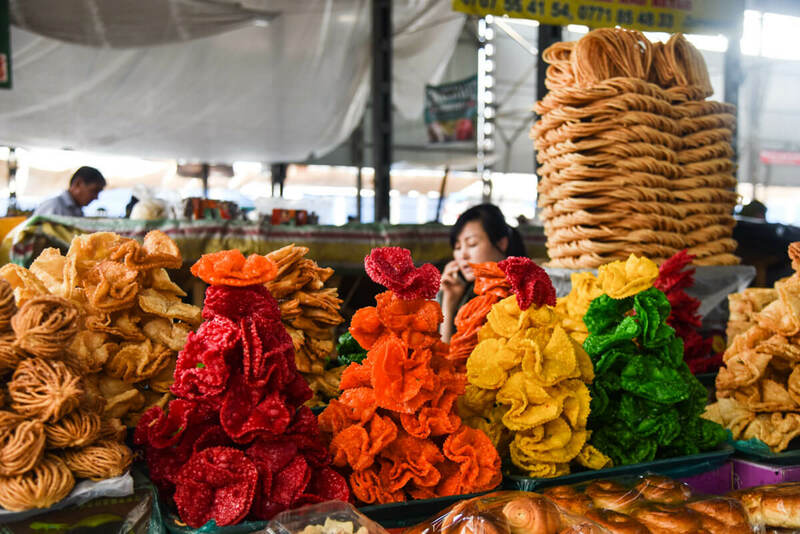 Osh is best enjoyed strolling down its many bazaars and eating at the local eateries. 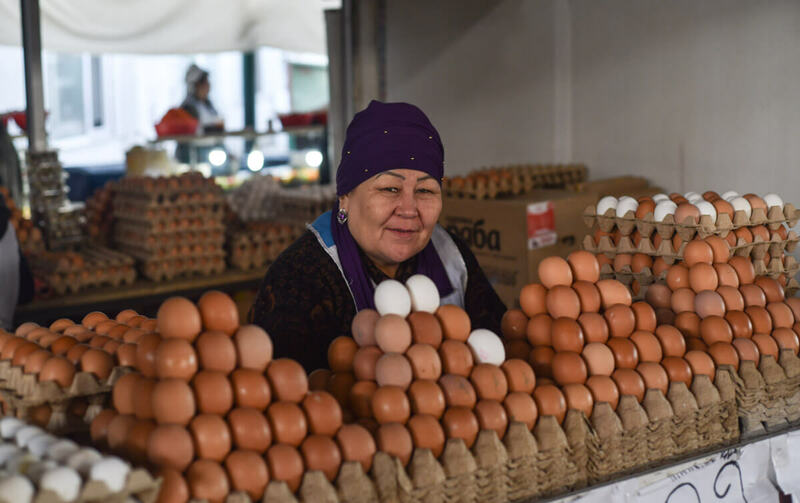 If you want to know more, read this post from Uncornered Market: Travel Guide to Osh. There are two direct marshrutkas a day, one at 6:30am and the other at 1:00pm. Otherwise, you can go first to Bazar Kognor and take a second marshrutka to Osh. Alternatively, you can also go by local shared taxi at any time, but it’s more expensive (500KGS, 7.30USD). Super Budget Hostel – Osh Guest House – Much cheaper than Biy Ordo but, of course, not as cool and comfortable. 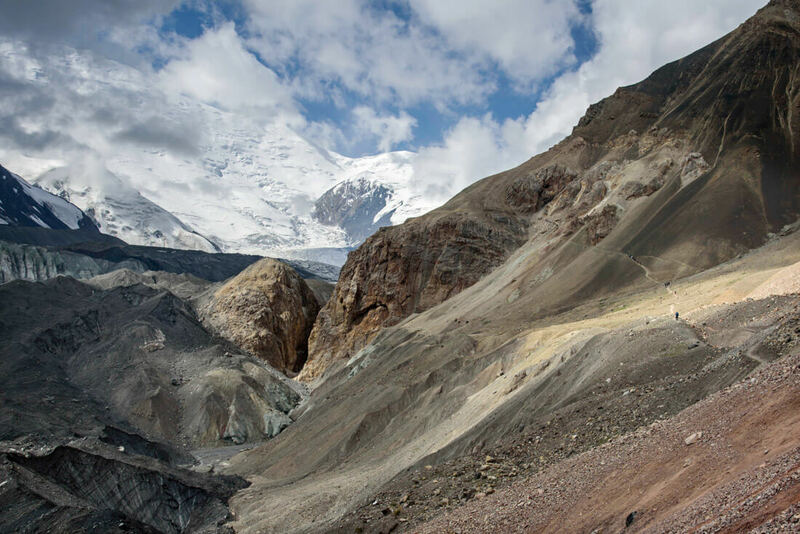 However, this is a great place to team-up with other travelers to travel the Pamir Highway. Mid-range Guest House – Eco House – If you don’t want to stay in a hostel for backpackers, this is one of the top-rated guest houses in Osh. Very comfortable, amazing breakfast and at a very good price for what you get. 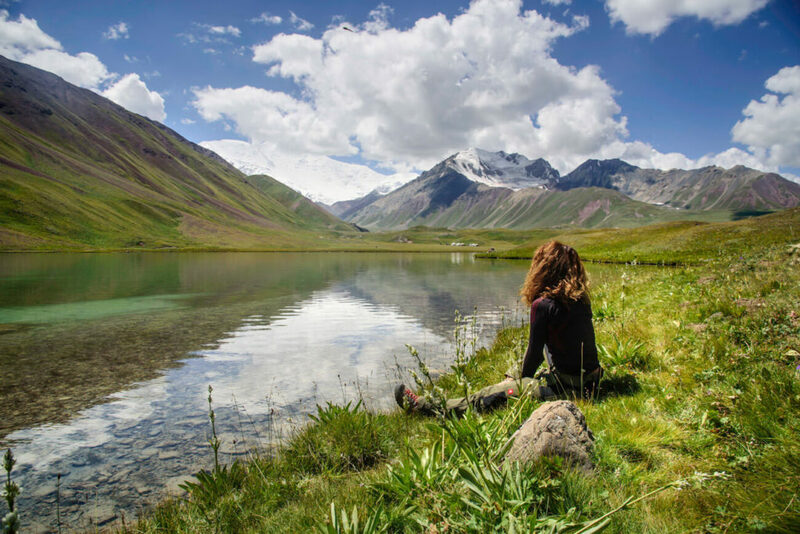 Unless you are coming from or going to China or Tajikistan, due to its remoteness, people tend to skip the Alay Valley, a dreamy plain situated 3,200 meters above sea level, which marks the border with Tajikistan and from where you get perfect views of the Pamir range. However, even if you aren’t traveling to either of those countries, I can guarantee that coming here is definitely worth it, as the surrounding mountains are astonishing and among the least discovered in the whole of Kyrgyzstan. 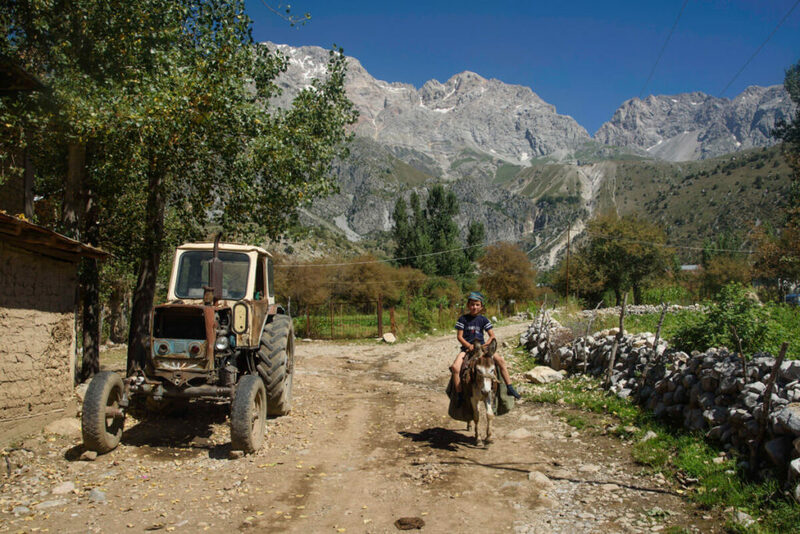 The main two villages in the Alay Valley are Sary Tash and Sary Mogul but I recommend staying in Sary Mogul, as the village is more beautiful and it’s the starting point to the Lenin Peak Base camp. Marshrutkas leave daily until 2pm from the Osh station located here: 40.536484, 72.798298. It costs 350KGS (4USD) for a 3-hour journey. Both villages are really close (30km) and I think that your best and quickest bet is to wait on the road for any ride. Budget Homestay – Muras Homestay – A pretty decent but average homestay where you are likely to meet overlander travelers coming or heading to China or Tajikistan. You will find many homestays. We stayed in a very random one. The Alay Valley is beautiful but it is only a tiny part of what the region can offer. 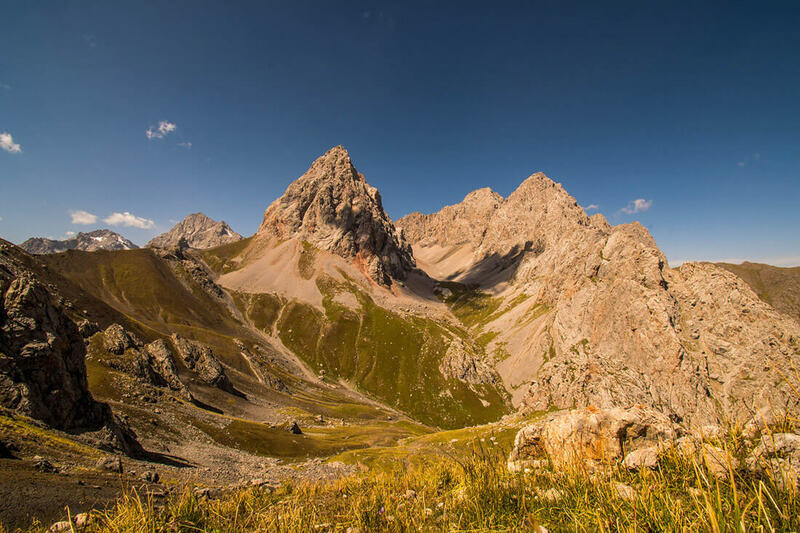 If you really want to get off the beaten track and discover some pretty remote lands in Kyrgyzstan, you should definitely go trekking to the Alay Mountains. The Alay Mountains are a mountain range that stretches from the southern part of the Tien Shan range to Tajikistan. These are some of the most untouched mountains, home to a variety of different landscapes, so different from what you may have seen in other parts, and also, filled with some the most untouched nomadic camps in villages in the country, so if you really want to get a glimpse of actual, unspoiled nomadic Kyrgyz culture, this may be a real chance for you. And needless to say that they have first-class landscapes. Best of the Alay Mountains (3-8 days) – This one goes really deep into the mountains and offers the largest contrasting landscape, some parts looking like you are on a different planet. The whole trek takes 8 days and goes through the famous Jiptick Pass (4,185m), from where you get absolutely stunning views of the Lenin Peak (7,100m) right in front of you. For those who don’t have time, there is a shorter 3-day version that also goes over a high 4,300m pass. Some of the days will be spent in a tent, while others in a yurt or a guest house. 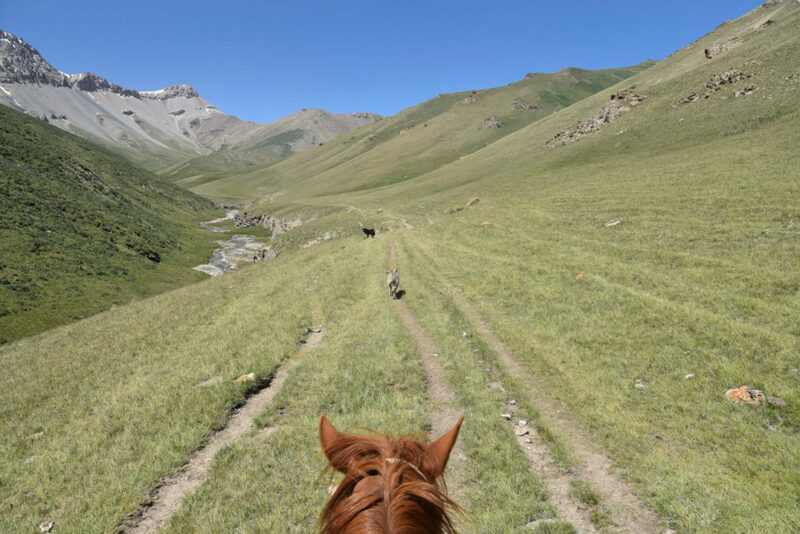 Truly Nomadic Land (5 days) – This also challenging trek is popular because you are spending each and every night in different unspoiled yurt camps, so if you prefer human interactions with shepherds and nomads, you may prefer this one. The landscape is also gorgeous, of course, and the maximum altitude is reached after crossing Ak Tor Pass at 4,185m. Please, remember that this area is really remote, so you may want to hire a guide for trekking those trails. The guys from Visit Alay know those mountains better than anyone, so I would not recommend any other company. There are two kinds of people. The ones who make it to Lenin Peak base camp and the ones who go to Tulpar Lake. Normally, since Lenin Peak requires a permit, many travelers prefer to stay at Tulpar, a tiny lake located right in the middle of small, rolling hills and from where you have very nice views, unless it’s cloudy, of Lenin Peak. Here we had one of our best camping spots in the country. The lake is around five hours walking from Sary Mogul. 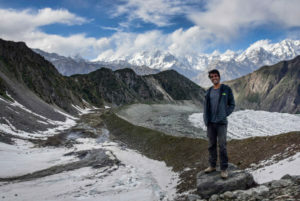 Even though you need a permit to visit Lenin Peak, I strongly believe that you should make the small effort, get it and come here because its massive glaciers, contrasting colors and striking scenery make me believe that this is one of the best trekking experiences I’ve ever had. Lenin Peak is a 7,200-meter mountain, the second highest within the Pamir range. 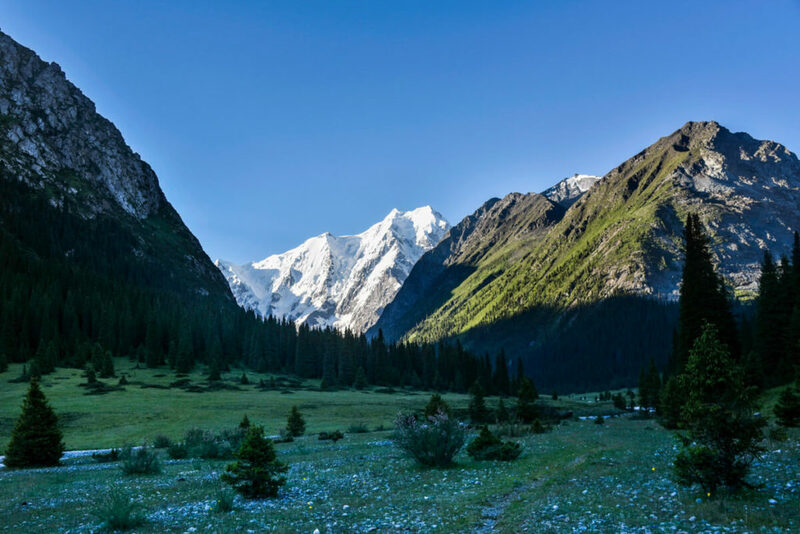 It’s said that Lenin Peak is the easiest to climb of all the mountains in the 7,000’s, but don’t get very excited, as you still need to be an experienced climber. However, for travelers and backpackers, the base camp is very accessible and, if you are reasonably fit, you can also reach the advanced base camp, which is where you will get a real feel of the wild Pamirs. It was very strange to wander around this area, as there were no travelers but a lot of climbers. Lenin Peak is, definitely, one of the best places to visit in Kyrgyzstan. It’s a 5-hour walk through the Alay Valley. You can also go by taxi but it’s a bit expensive. Ask for prices at the CBT Office in Sary Mogul. It’s just one hour walk from the lake. Furthermore, going to the advanced base camp takes around 5-6 additional hours. 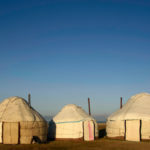 In both Tulpar and the base camp there are yurt camps which charge between 10 and 15USD, including dinner and breakfast. In Tulpar Lake, rates are cheaper. 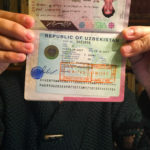 You are going to Uzbekistan – Here you can check all my articles about Uzbekistan. 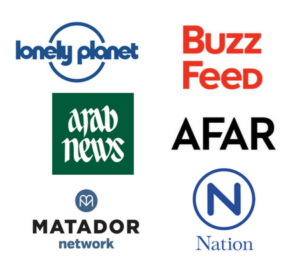 You are going to Kazakhstan – Here you can check all my articles about Kazakhstan. This was my suggested itinerary after 2 months of backpacking in Kyrgyzstan. If you have any other suggestions, kindly post them in the comments section. Hey there, fantastic article! 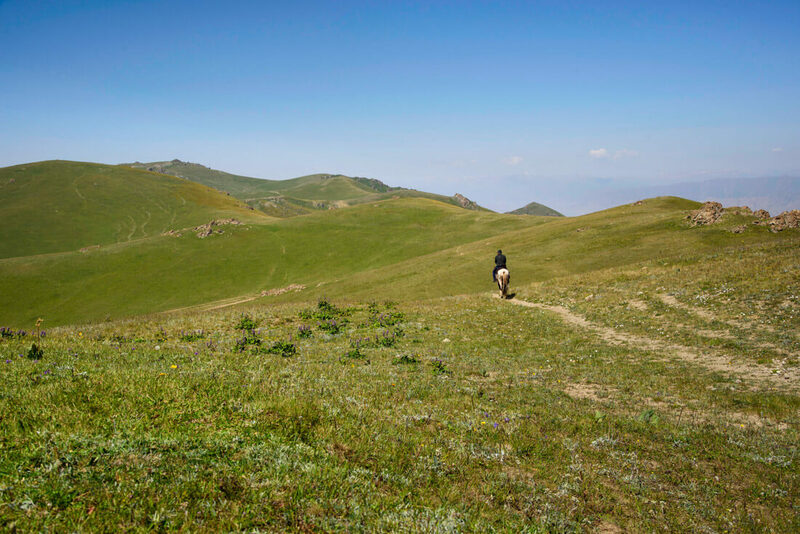 Looking forward to reading your posts on the trek from Kyzart to Song kul, and trekking from Sary Mogul to Tulpar Lake to Lenin Peak, as I’m doing both of these in the summer! Any idea when you’ll post these? Keep up the great work. Hi Steven, the Song Kul trek will be posted end of this month but on another website, not mine. However, I will definitely link to it on this post. Morevover, I will try to post the Lenin Peak post within this month, as well but, most probably, it will also be posted on another site. Thanks for the link. Did you write this? Great info, thanks. I will be travelling through Tajikistan in late Aug/Sept prior to Kyrgyzstan (hadn’t bedded down a plan for that section yet). 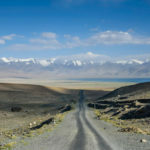 Would you say it’s easy to just reverse your itinerary and end up in Bishkek – I’d take your added days options I think! Awesome! Yeah, if you come from Tajikistan over the Pamir Highway, this itinerary is really convenient! Have loads of fun 🙂 !! At night, it was chilly but never below 0. Just bring a thermal t-shirt and a winter jacket and you’l be fine. Kyrgyzstan is really beautiful. It’s incredible, and I love the kids that you have photographed. They look so adorable. 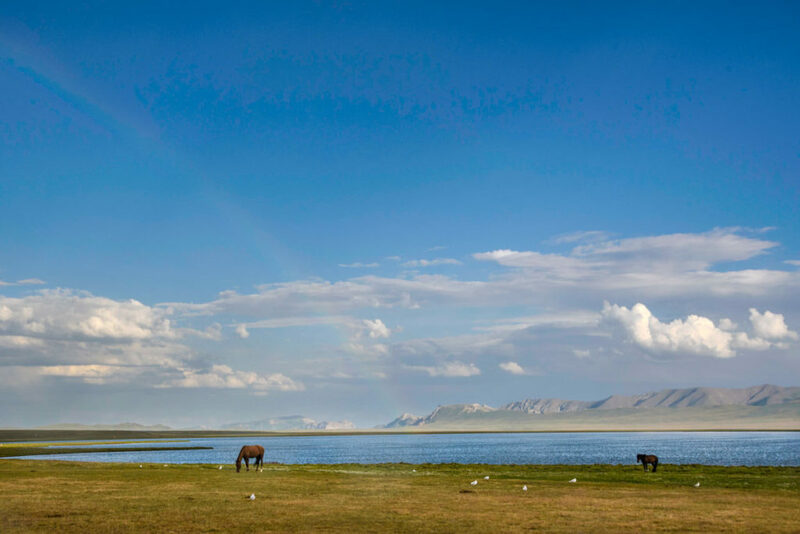 True, Kyrgyzstan isn’t just about mountains. There’s so much more to see and experience. Thanks for the itinerary! Hiya 🙂 perfect article, congrats ! I plan to go to Kyrgyzstan in august, and I’m very interested in your article on Peak Lenin base camp trek. Have you finished writing it ? Hi Robert! Thanks for your kind message! Yes, I finished writing it but I am going to publish it on another blog from another blogger and it will go live on the 28th of June. I will link it here as soon as it is ready! Cheers! Great info!! I’m heading there in August/September. Did you go to Sary Chelek? Did you know how to get there? How do I get a map of the hiking trails for all of the hikes? I was planning on doing the Kyzyl-Suu to Jeti Oguz trek, the Kyzart to Song Kul trek and the Tash Rabat to Chatyr Lake trek. I will definitely have a guide for the Archa Tör Pass and a guide and horse for Tash Rabat too, so I guess I’ll only need a map for the Kyzart pass hike? Hi, do you have maps.me? It shows all the trekking trails, very easy to follow. There are detailed maps in the CBT office in Kochkor which you can look at / buy. I have some photos of the maps which a guesthouse owner in Kyzart let me take. If you want them send me an email and I’ll send you the photos. Hello, I was just wondering, how to get from TOKMOK to Karakol? Unfortunately, we are short on days and are planning to start from Bishkek in the morning, get a marshutka to TOKMOK, see the Burana Tower and then somehow get to Karakol the same day. P.s. 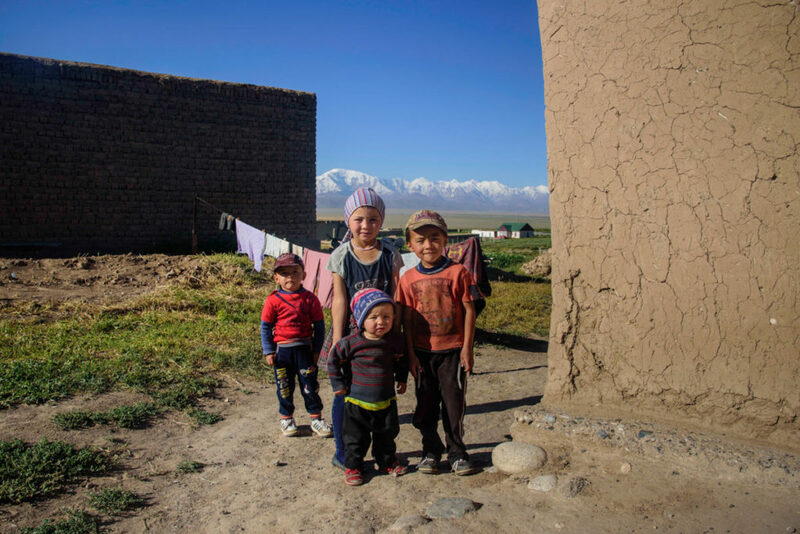 : best blog about Kyrgyzstan I came across, so many interesting and specific information. Hi, Tokmok it’s on the way from Bishkek to Karakol, so I am pretty sure there are direct marshrutkas. Hey Joan, thanks for the detailed itinerary, you totally convinced me to plan a trip to central Asia — it looks so beautiful! I was following your other post on how to cross over to kyrgyzstan from xingjiang china and it seems that we will arrive in Sarah Tash/Osh first. Do you haven any suggestions on which direction I should head towards if I want to follow your itinerary? Do you reckon I should fly to Bishkek first or do your itinerary in reverse? I’ll be heading to the Pamir Highway after kyrgyzstan so Im trying to wrap my head around the route. Thanks so much in advance! Hi! 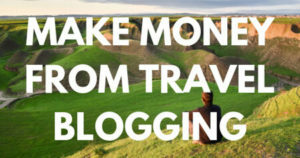 It depends on how much time you have and which countries are you planning to visit. As I understand, you also plan to visit China? Then you have no other choice than starting in Sary Tash unless you wanna enter through Torugart Pass, which is very expensive. If you aren’t visiting China, sure, flying to Bishkek and going down slowly would be the best choice! Hi Joan, thank you so much for this interesting post! Would you say that traveling here as a solo female traveler would be OK? I’m considering extending my trip to Kazakhstan to also explore Kyrgyzstan. thanks!